A resource to turn the most stressful aspect of fertility treatment, the Two Week Wait in to a Two Week Thrive where you will feel supported, encouraged and let go fear of what may or may not happen giving you the best chance of getting a successful pregnancy. Turn the Two Week Wait into the Two Week Thrive! Let go of the stress of the IVF/ICSI/Donor Egg Two Week Wait (2WW). Find peace of mind and feel supported during the 2WW. Actively harness the mind-body link to guide your body to welcome and embrace your embryo(s). Give yourself the best possible chance in the most critical stage of fertility treatment. Why is it in the most critical time of fertility treatment we feel the most unsupported? The clinic has done all they can and we are sent off on our own. In a survey I carried out over 90% of women feel unsupported during the 2 Week Wait. They also said it was the most stressful part of the process. 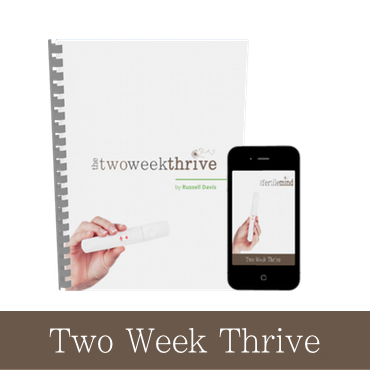 This resource will give you the support, encouragement and peace of mind to turn the Two Week Wait into the Two Week Thrive. A daily hypnosis mp3 to guide your body to welcome & embrace the embryo(s) (as featured in the Assisted Conception programme). A printable daily reflection booklet to read and reflect on with space to note reflections and actions. A one hour talk to help you let go of the fear of the treatment not working. This resource will help you connect to your embryo(s) ad guide your body to embrace and welcome them, and provide all they need to thrive. To allow them and you to thrive. Turn the Two Week Wait into the Two Week Thrive. Although I am in the UK prices are in USD as they are more universal worldwide however payment can be made securely in any currency using popular debit cards, credit cards and Paypal. Other currency prices are shown for information. The actual exchange rate is dependent on your card issuing bank at the time of purchase.